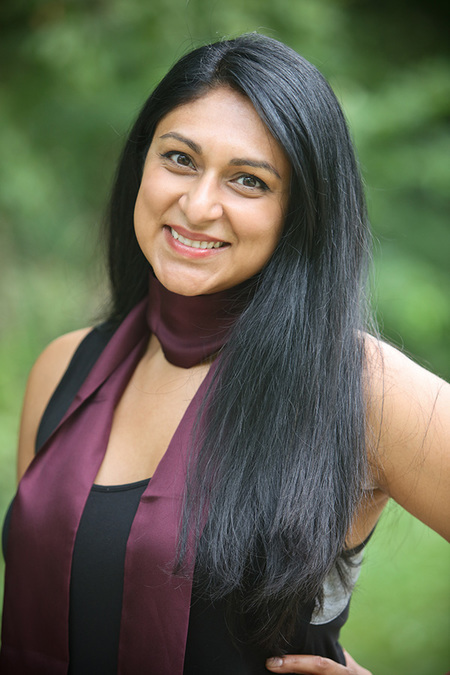 BLUE ASH, Ohio -- Ami Kulkarni is working to build a new kind of skin-care business based on an old bit of wisdom that moms and grandmas have shared with their girls for years: Beauty starts from within. Arkadiance , Kulkarni's company, sells what she calls a wellness-based skin care line that is designed to boost customers' inner health to "unleash outer radiance." Her website only has been up and running for a couple of months, but Kulkarni, 37, has been working for five years to formulate her products and put together the pieces of her company. 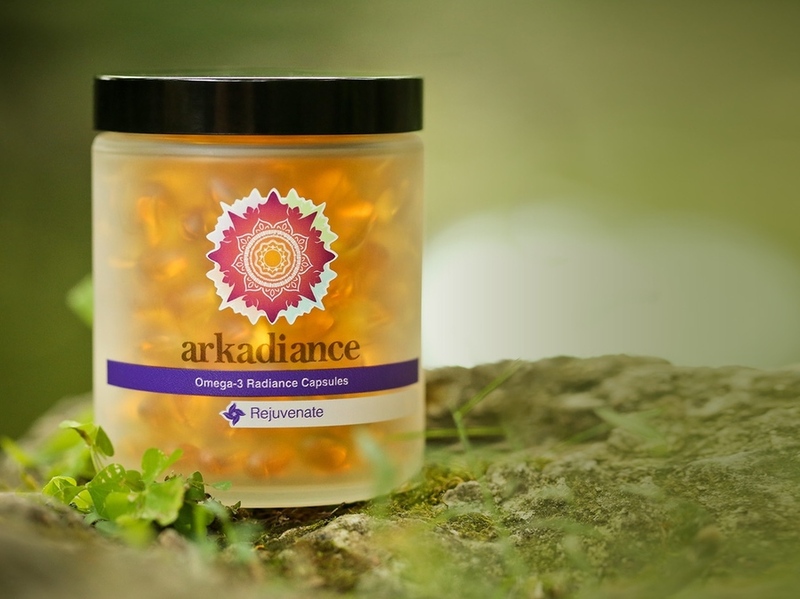 Arkadiance sells "nutraceuticals," such as Omega-3 capsules and antioxidants, along with face care products, body care products and a line of natural teas. It's all designed to work together to make customers feel better on the inside and look better on the outside. "Most brands can talk to the consumer from a very top-down perspective," she said. "I want to approach the consumer from an empowerment standpoint: Here's knowledge that's going to inspire you to treat your body better. I want to be less of a know-it-all and more of a partner." Still, Kulkarni does know quite a bit. She spent seven years working at the Procter & Gamble Co. on the massive beauty care brand Olay. She left the company 10 years ago with plans to go to medical school after her first daughter was born. But instead she teamed up with her husband, Samir Kulkarni, to run Solica Construction, Inc., which he founded in 2008. As much as Kulkarni has enjoyed helping that business grow, she said her passion always has been exploring the intersection of beauty and wellness. With her husband's encouragement, she began doing the research and finding the suppliers she needed to create Arkadiance. "It is the perfect blend of her interest in science and her interest in beauty and her entrepreneurial capabilities," said Jeri Ricketts, executive director of the Carl H. Lindner Honors-PLUS Program at the University of Cincinnati's Lindner College of Business. Kulkarni is a graduate of the program. "I think the fact that she's combining kind of the traditional approach to beauty -- which is put something on your skin -- with more nutritional support -- going from the inside out -- is going to be something that really resonates in the market," Ricketts said. "I haven't seen that anywhere else." The products aren't cheap. 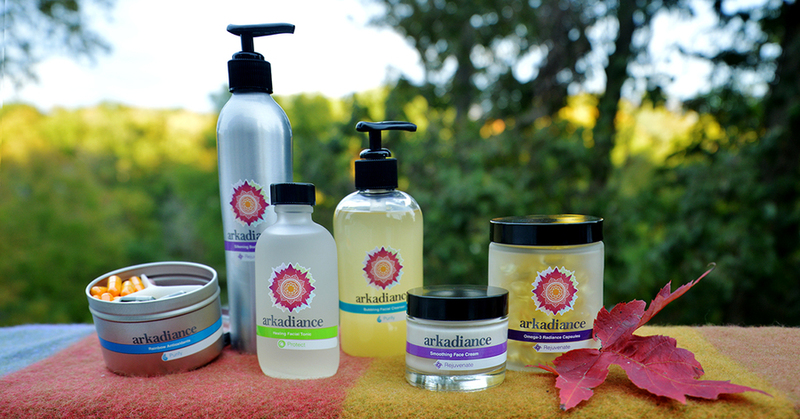 Prices range from $18 for a can of tea to $82 for a jar of Arkadiance Smoothing Face Cream. But Kulkarni said the prices are based on the cost of the high-end ingredients that she uses in each formulation. Because she ships the products from her home at this point, her overhead is low and she isn't making a big profit on each sale, she said. And 10 percent of all of the company's proceeds go to the Karen Wellington Foundation , a Cincinnati nonprofit that raises money to send women with breast cancer and their families on vacations and other fun outings. In the first six weeks after the Arkadiance website went live, sales grew about 25 percent each week, Kulkarni said, adding that's partly because most people who try the brand come back to buy more. "My consumers, they're not going to do something unless it provides a substantial change," she said. "Knowing that my product breaks through the clutter and is giving them a substantial change is a great feeling." That's certainly the case for Jen Anderson, a good friend of Kulkarni's who lives in Liberty Township. Anderson has been an advisor to Kulkarni as she has built Arkadiance and has become a firm believer in the company's products herself. "She started me on the Omegas several years ago as part of her test-market consumers," Anderson said. Anderson has been a particularly important consumer because she has stage 4 breast cancer, and her cancer treatments can be very tough on her skin. "I had my ovaries out three years ago. I have no estrogen in my body. My skin should be really dry and problematic," Anderson said. "But I feel like I really have been protected from that, and I give credit to the Omega 3. I give my cells every boost that I can give." Now Anderson also drinks the Arkadiance teas and uses the skin creams, which she likes because they feel luxurious without heavy perfumes that bother her, she said. "I've never been one to spend big bucks on beauty treatments of any type. I just don't see the value in it," she said. "But I see huge value in health. I really am drawn to this whole concept of health first and then health brings beauty." Dr. Euna Koo is sold, too. Koo, a local dentist, also is an old friend of Kulkarni's and has served as a sounding board for the business. The Arkadiance face cream is the first product Koo has used that keeps her skin feeling pleasantly moisturized all day, despite all the times she has to take her mask on and off, she said. "I've tried a lot of the higher-end products, and I've never had a lotion that didn't feel greasy, didn't feel heavy and yet it lasted all day," Koo said. And though Koo was skeptical of Kulkarni's strong belief in the benefits of taking Omega-3 capsules, she agreed to try the Arkadiance product after giving birth to her second daughter. "I figured, 'here goes nothing,'" Koo said. "My recovery was so much better than the first time (giving birth). So much faster, so much easier." It was so dramatically better, in fact, that Koo's husband, a physician, started taking the Omega-3 capsules, too. "That's a hard sell," she said. "There's a big bottle of men's vitamins that we got from Costco that I think he took like 10 of. But this morning, there was an empty glass jar of the Arkadiance capsules on the kitchen counter." Koo's husband left it there, she said, as a subtle reminder that she should order more for them both. For Kulkarni, those kinds of customer experiences are what it's all about. "I'm having so much fun," she said. The next step is seeing just how big Arkadiance can get before Kulkarni outgrows her home and has to get bigger. "I have a plan that is to get to 500 users, analyze the information that they're giving me, then evolve the brand. Then get to 5,000 users and evolve the brand again," she said. Kulkarni's experience at P&G is bound to help inform all those decisions along the way, Ricketts said. "You have to have a good product," she said. "But you also have to be able to sell that product in an effective way." For Kulkarni and Arkadiance -- so far, so good. The public is invited to the Arkadiance launch party from 6 p.m. to 9 p.m. Nov. 30 at the Kit and Ace boutique inside Kenwood Towne Center across from Sephora. More information about Arkadiance and its products is available online.